Looking for a unique way to spend Mother’s Day Weekend?. Whether you are an artist, an animal lover, or simply looking for an experience beyond a traditional Mother’s Day brunch, this weekend retreat is for you! Celebrate Mother’s Day with your favorite girl and deepen your relationship through Activities with Horses (non riding), Mindfulness, Writing, and Multimedia Art. Share an experience of a lifetime! 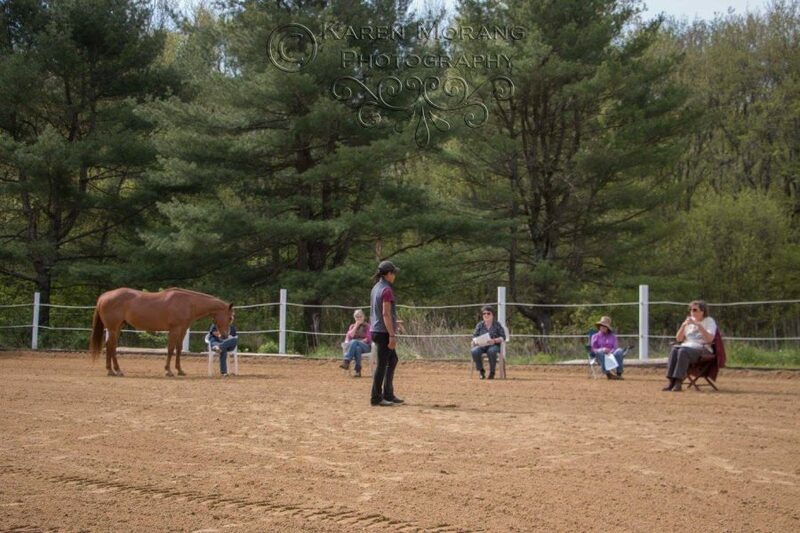 This retreat is a collaboration between Farah DeJohnette of DeJohnette (About FDH) Horsemanship and Alexia Johnstone, LMHC, Expressive Arts Therapist (About Alexia). Appropriate for mother-daughter, Grandmother’s,Godmother’s, Auntie’s pairs or any non blood important women in your life. ages eight through adulthood, Art-making, Unique Equine Activities, and time in nature will nurture the imagination, relationship and create great memories. NO PRIOR EXPERIENCE WITH HORSES OR ART-MAKING REQUIRED! Non-traditional “mother-daughter pairs” welcome. Fees: $250.00 per mother-daughter pair. Space is limited to 8 pairs. A continental breakfast, lunch, and art supplies will be provided. If overnight accommodation is needed, arrangements can be made for participants who wish to stay on site or near the farm. Contact me for details. Saw your ad for Mother’s Day event. How unfortunate that youcouldn’t find a way to include those women who gave birth to sons only, for they are mothers as well. Thanks for your comment? Are you looking to attend with a son?